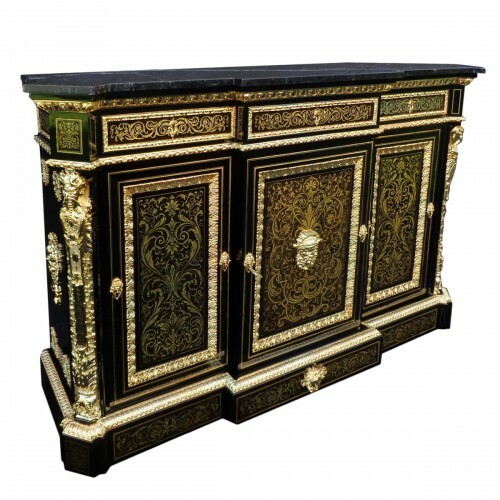 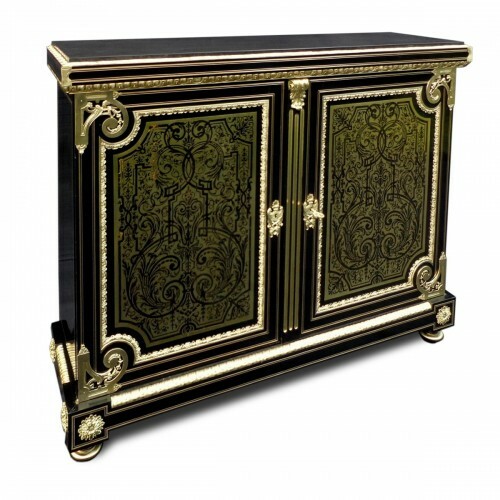 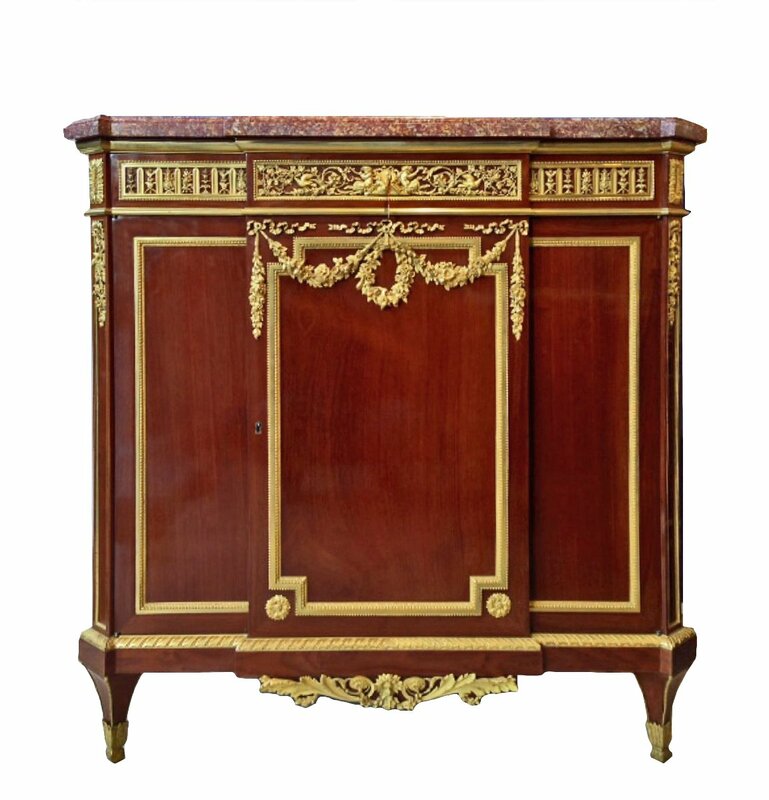 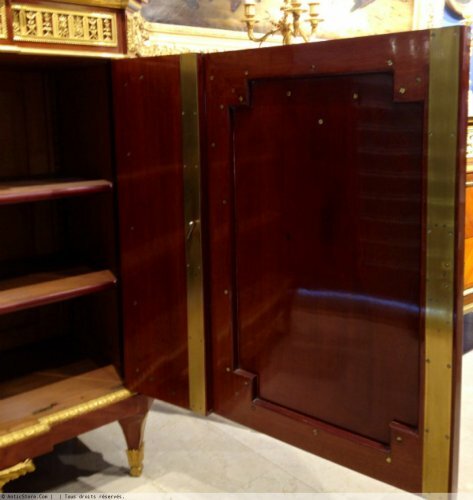 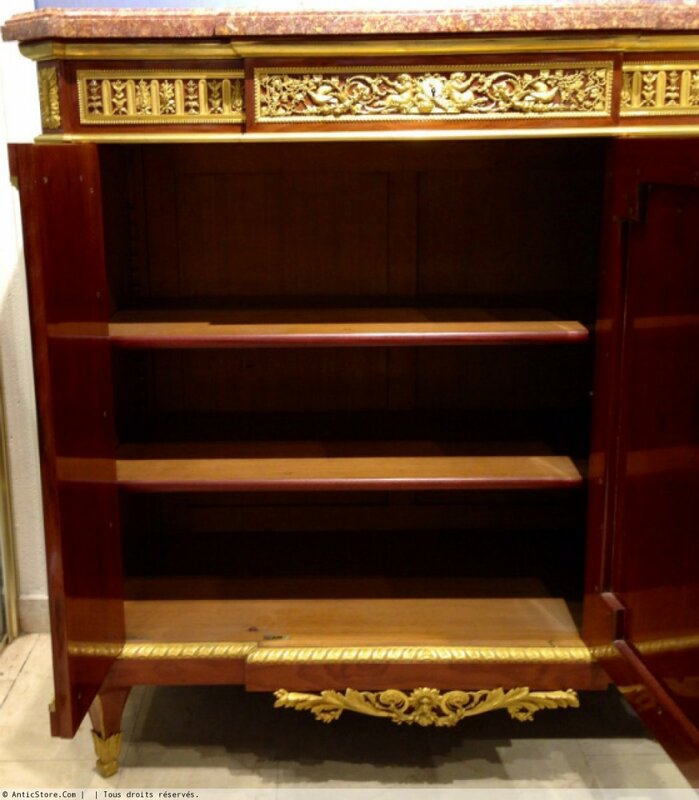 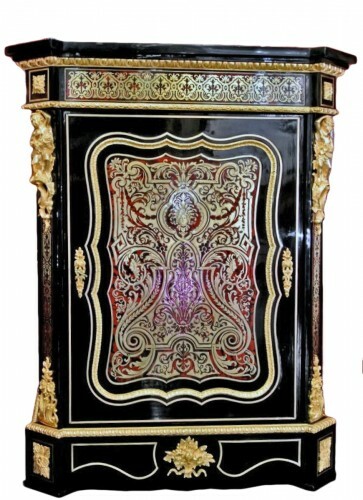 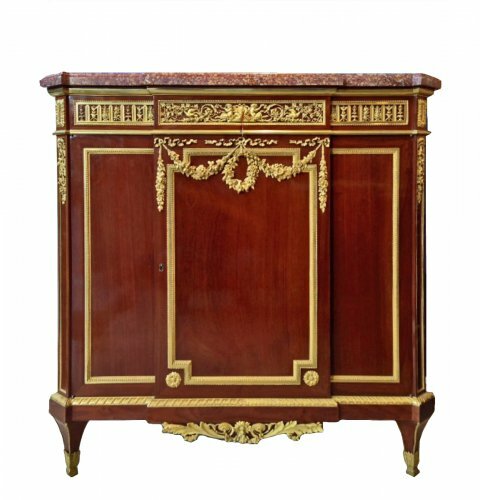 Side cabinet in mahogany with rich ornamentation of bronze. Front opening to a drawer and two doors, one double evolution. Topped with a brocatelle marble. Stamped and dated Henry Dasson 1879 (on the cabinet and one on a bronze) This piece of furniture is moved closer to furniture of J.H. 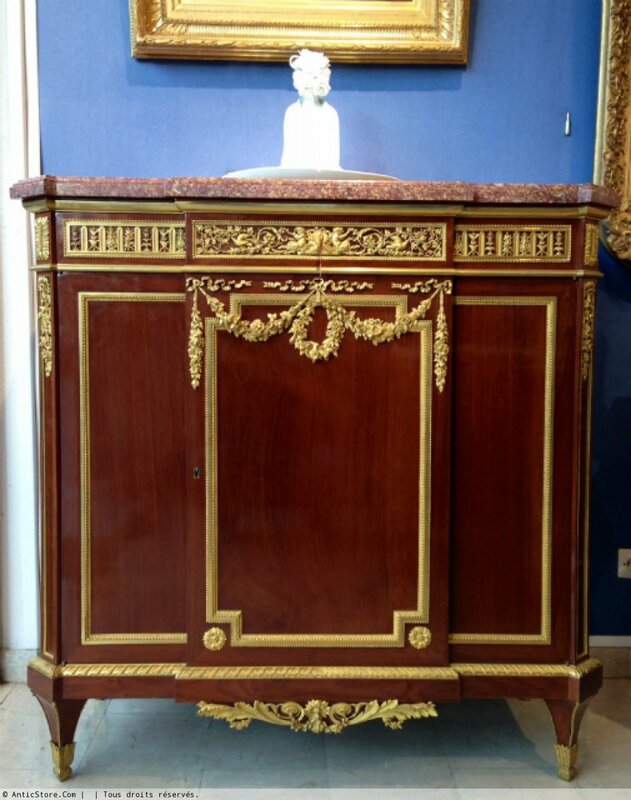 Riesener big cabinet maker of the end of the XVIIIth, supplier of queen Marie Antoinette. 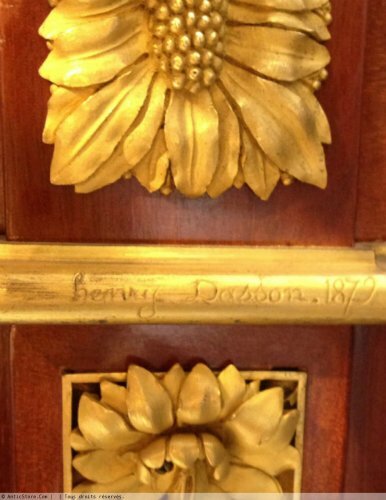 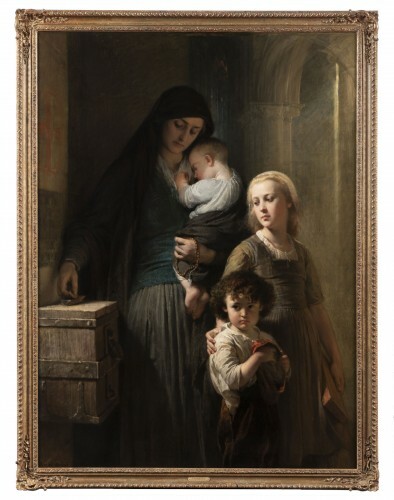 Henry Dasson (1825-1896), trained as a bronzer before taking over from the cabinetmaker Charles Winckelsen, located 106 rue Vieille du Temple first. 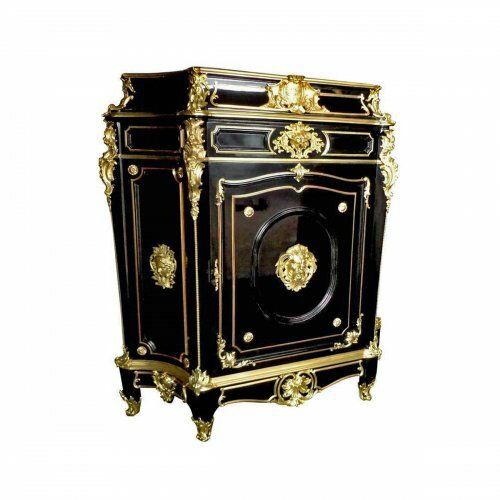 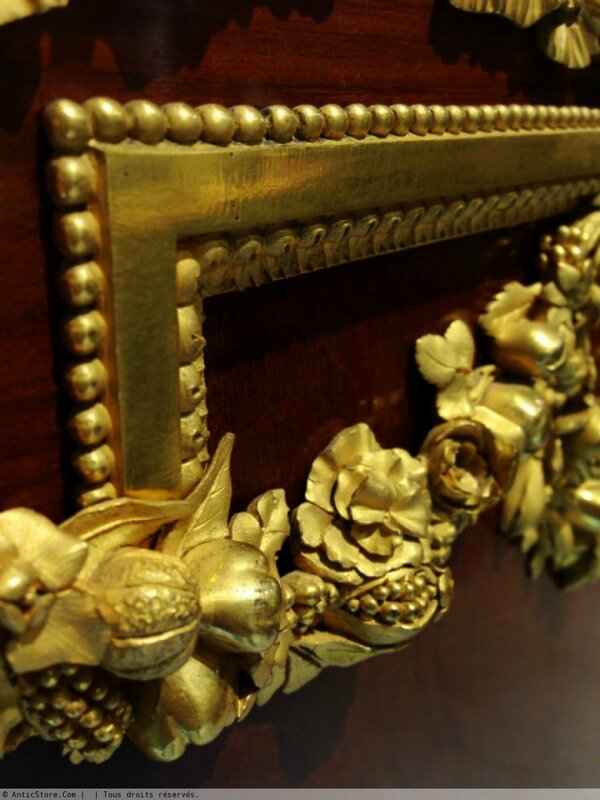 He specialized in replica royal furniture of the eighteenth century. 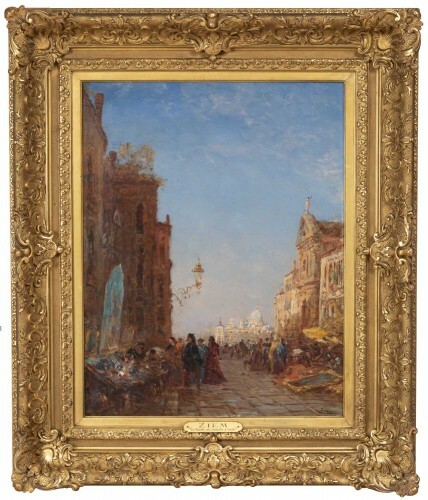 He was hailed by critics, awarded each exposure which he attended, including a "Great Artistic Award". 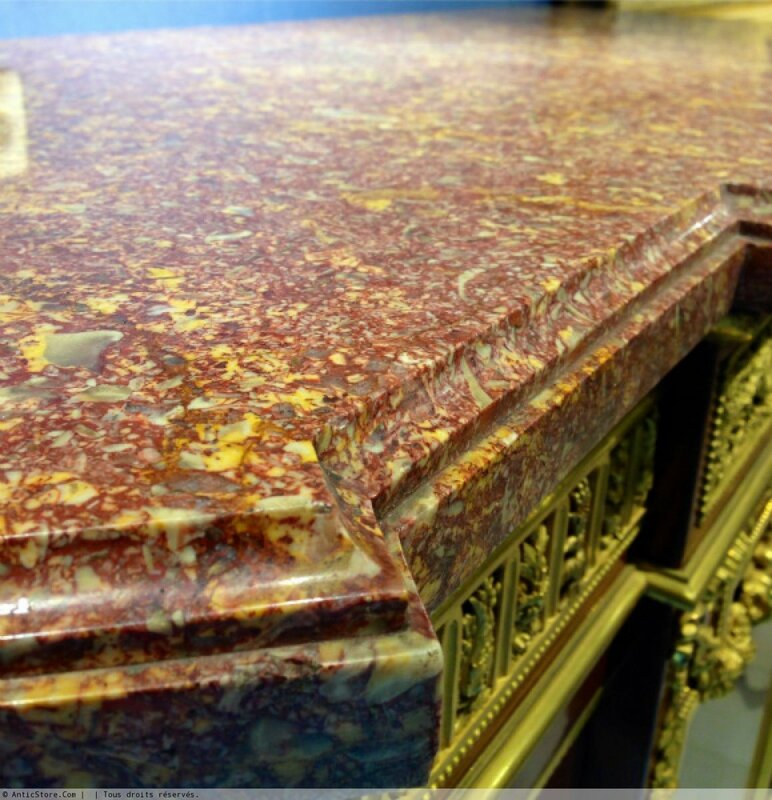 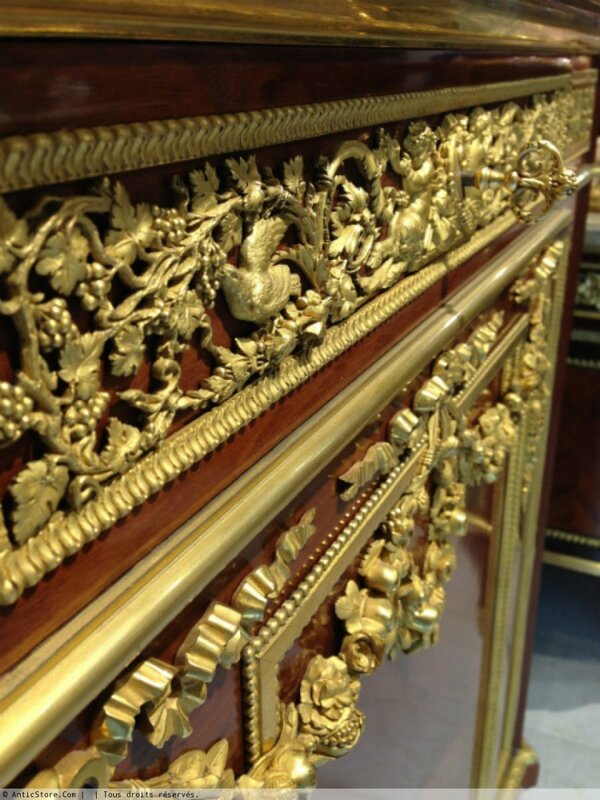 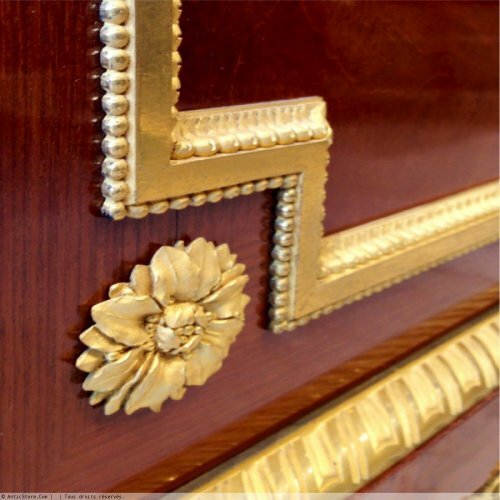 Thanks to the quality of his cabinet and his bronzes, while furniture attract a wide international clientele.